Lenovo Flex 3 15 is a convertible laptop designed to offer great experience for both work and play. The latest version features a large anti-glare display, a 360-degree hinge and fifth-generation Intel Core i Series processor. The Lenovo Flex 3 15 features a chassis made of plastic – not quite surprising for a convertible this affordable. It is somewhat slim at a thickness of approximately 0.9 inches, while it weighs in at about five pounds. The laptop comes with an improved 360-degree hinge that allows you use it multiple modes, including stand, tent and tablet. Lenovo Flex 3 15 crams in a 15.6-inch touchscreen with either HD (1366 x 768 pixels) or FHD (1920 x 1080 pixel) resolution. The multi-touch display has anti-glare quality, which means you can enjoy using it outdoors. Under the hood, Lenovo Flex 3 15 packs up to fifth-generation Intel Core i7 processor to provide enough power needed to help you create or get entertained. The powerful processor is accompanied by up to 8 GB of DDR3 system memory for truly impressive performance. In addition to integrated Intel HD Graphics, you also get an NVIDIA GeForce 940M discrete graphics card with 2 GB of video memory to enable you engage in a bit of gaming in your downtime. Lenovo Flex 3 15 runs on latest Windows 10 Home (64-bit) operating system. It is equipped 45WHr battery, which rate to be capable of up to five and a half hours in runtime. Storage options range from a 500GB hard drive to a 1TB + 8GB hard drive-solid state drive hybrid. The convertible is decked out for enjoyable sound while watching movies with powerful 1.5W stereo speakers backed by Dolby Home Theatre technology. The Flex 3 15 features a 0.3MP web cam, Bluetooth 4.0 and super-fast Wi-Fi 802.11ac. It has two USB 3.0 ports, two USB 2.0 ports, a Gigabit Ethernet LAN port, an HDMI video output port and a 4-in-1 card reader. Lenovo Flex 3 15 is not yet available in Nigeria. When available, you can buy it at leading online stores in the country. 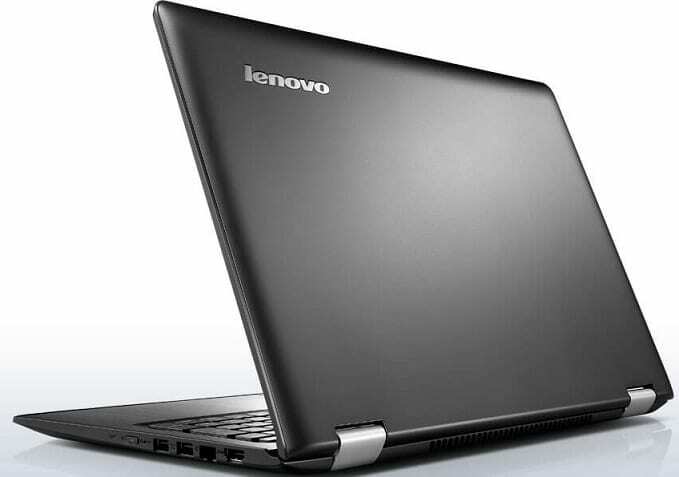 Lenovo Flex 3 15 Price in Nigeria is expected to range from N105,000 to N180,000 depending on your location in Nigeria.